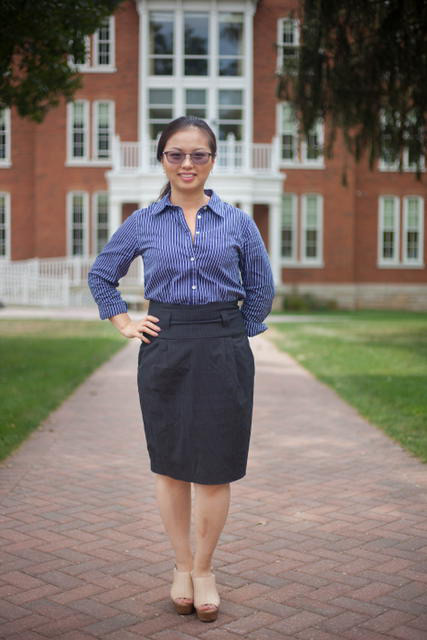 Ran returned to Juniata as the Associate Director of International Recruitment after spending many years working in China in education and industry putting her liberal arts education to good use. She remembers most fondly of her undergraduate years at Juniata where she spent many hours in the lab doing undergraduate research while still making time to play tennis and perform in theatre. There was never a dull moment whether she was serving on the Student Senate or helping other students ace calculus as a peer tutor. Now, she is excited about promoting a liberal arts education to students around the world and sharing the wonderful and unique experience Juniata has to offer. She is a firm believer of the advantages that the breadth and depth of study a liberal arts education can bring to the undergraduate experience, and Juniata is the quiet but powerful place where you can reach your full potential. Feel free to contact her with any questions!